The Kathie & Christopher Lawler Foundation was established in memory of Kathie & her son Christopher, who were tragically killed on November 12, 2001, when Flight #587 fell from the sky onto their Belle Harbor home. The goal of the Foundation is to supplement and enhance the Diocese’s existing programs that assist over 160 senior priests as they move into the next chapter of their lives. Every dollar raised through the Foundation goes directly to the care of senior priests in their day to day life, including the cost of transportation to and from healthcare appointments and other health and social event-related costs as they grow older. 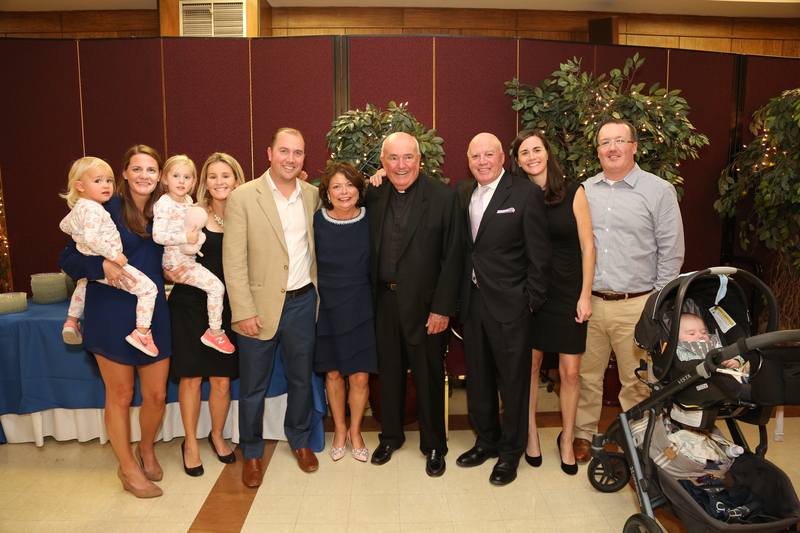 Each year, the Foundation holds an annual dinner dance to honor these senior priests by raising much needed and appreciated funds. This year, we will be honoring Fr. James Devine and Msgr. Conrad Dietz posthumously. The 11th Dinner Dance will be held on Saturday, November 17, 2018 at 6:00pm (preceded by Mass at 5:00pm) at the Immaculate Conception Center 7200 Douglaston Pkwy, Little Neck, NY 11362.